A wrong number listed on a Colorado Springs newspaper advertisement by Sears started NORAD's Santa Tracking program in 1955. Google also started to track Santa's movement in 2004 as a Google Maps service. 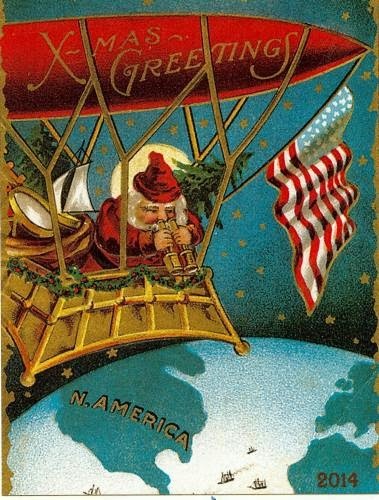 However, the radar tracking may reveal Santa is not on a sleigh after all, as the vintage postcard US-3141511 from Virginia shows that Santa Claus on an airship overlooks the opening of the Panama Canal in 1914.